As part of its review of the BBC Fair Trading Policy, the BBC Trust commissioned Fingleton Associates to undertake an independent assessment of the BBC’s Fair Trading Policy and Framework. Today it has published our report alongside a consultation document setting out proposed changes to the Policy. Due to its unique funding position, the BBC is under special obligations in relation to its conduct in the markets in which it operates. The BBC’s funding means it must comply with European State Aid law also. The BBC, like any organisation, is subject to UK and European competition law. Broadly, these requirements comprise the BBC’s Fair Trading Obligation. The BBC Trust, which is responsible for ensuring the BBC complies with the Fair Trading Obligation, must establish a Fair Trading Policy and Framework and review it every three years. The Fair Trading Policy and Framework sets out how the BBC is expected to achieve compliance with the Obligation in practice. In addressing these questions, we conducted interviews with over 30 individuals within the BBC Executive and 14 third party organisations. In addition, we reviewed various BBC internal documents, data, and third party evidence, and conducted our own desk-based research. We found that the BBC’s Fair Trading Policy and Framework is comprehensive and well-designed to achieve compliance with the law. We also found that the implementation of the Fair Trading Obligation is adequate, with the BBC Executive having a number of well-established measures in place to ensure compliance and awareness within the Corporation. 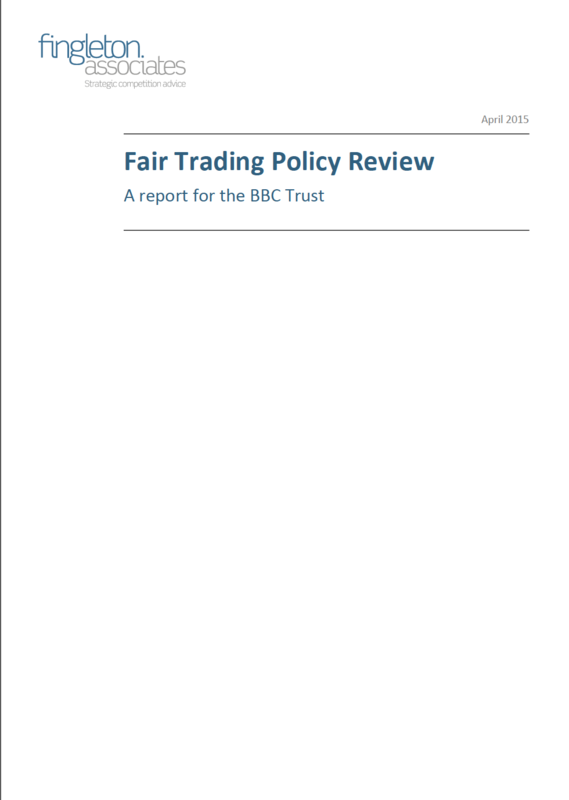 However, stakeholders expressed concerns about certain aspects of the Fair Trading Policy and Framework, including: the complaints mechanism; the relationship between the BBC Public Service and the BBC’s Commercial Subsidiaries; and, the complexity of the Policy and Framework and the practical interpretation of certain terms within it. Increase confidence that the Executive is compliant through additional and clearer public reporting. Click here to download a copy of our report. Click here to read the BBC Trust’s consultation on the BBC Trust website.